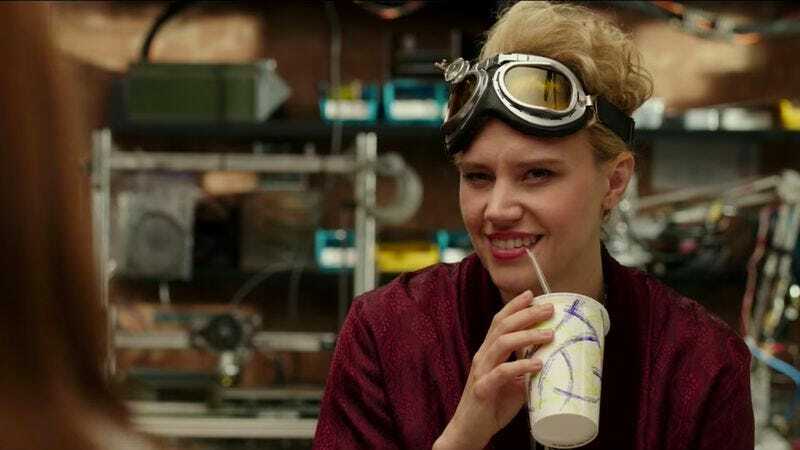 Continuing her streak of playing thoroughly GIF-able women of letters and science, Saturday Night Live cast member Kate McKinnon is set to voice fantastical-coach-driving educator Ms. Frizzle in Netflix’s animated series Magic School Bus Rides Again. The casting was one of several announcements made by the streaming service at a press event in New York City today. McKinnon inherits the role (and The Friz’s expository wardrobe) from Lily Tomlin, who voiced the character for more than 50 episodes of Canadian co-produced edutainment in the mid-1990s. Originally announced as The Magic School Bus 360˚ in 2014, Magic School Bus Rides Again not only saves copy editors from the hassle of finding the “˚” in their special characters menu, but also features appearances from past Magic School Bus cast members. Stu Stone, who voiced Ralphie in the original series, recently described the project as a “top-secret thing” involving returning players and celebrity cameos—like that time in 1996 when Jessica Walter put on her Lucille Bluth/Malory Archer haughtiness to help Ms. Frizzle’s class learn about geological erosion. That episode and the rest of the ‘90s incarnation of The Magic School Bus are currently streaming on Netflix, while the series of books it’s based on remain available at your local library (for as long as your local library is a thing).